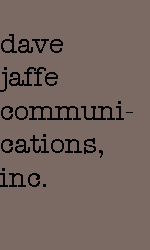 Dave Jaffe has been a professional writer, editor and communicator since words were brand new. 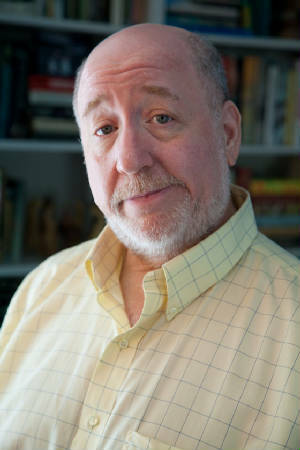 A former director of media relations at the American Bar Association, Dave also worked as a news assignment editor with WGN Television, a reporter and editor for the famed City News Bureau of Chicago, a media strategist, an award-winning columnist and commentator, and even as a sketch writer for Bozo the Clown and contributing editor to The National Lampoon. Dave fashions powerful, compelling, even humorous content for newsletters, brochures, web sites, video scripts and more. His work has appeared in Chicago Parent, ABANow, The Chicago Tribune, San Francisco Chronicle, North Shore Magazine on the Air, National Public Radio – Chicago, on WGN Television and WKQX radio, and more. The documentary "Stand-up: The Serious Business of Comedy" that he wrote and produced for WGN Television was nominated for a local Emmy award. He has twice been honored by the Chicago Headline Club with Peter A. Lisagor awards for his columns and commentary and with a Parenting Publications of America Gold Award for Humor. Dave is a long-standing member of the American Society of Journalists and Authors. His hobbies…well, frankly, who cares about his hobbies? What’s important is that he works effectively for his clients and has no outstanding warrants. Dave Jaffe, although that's probably just the lighting.